Ann is a teacher, editor, writer, consultant, webmaster and avid student of metaphysical philosophy. 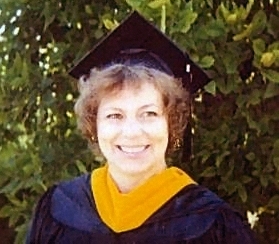 Born and raised in Utah, she earned a Bachelor's degree in English and German, then a Secondary Teaching Certificate, and in 1999 she earned a Master's degree in Computer Information Systems. She has worked as a classroom teacher, computer instructor, editor, technical writer, and instructional designer; she's created over twelve websites and two blogs. She has published articles and stories, has co-authored several books, and is currently working on more book projects, including two new courses for the college. In 1988 Ann began studying metaphysics in earnest and has studied metaphysics and the Law of Attraction every day since. In 1990, she started editing and digitizing the courses for the College of Divine Metaphysics. To accommodate requests from the California accreditation office, she made extensive updates to the Metaphysical Perspective of Raising Children course. For the school's students, she expanded the Brief History of Metaphysics study. In 2002, she built this website to help spread the word about the school. In 2003, she became the Advisor and Vice President of the school; she served as Vice President for fourteen years. In 2004 she also became the Director of the Online Division. Ann lives in Utah, where she works as a freelance author, copy editor, and instructional designer. Joe Garduno was born in Arroyo Hondo, New Mexico. He spent his early years there and in Taos. He was an ordained minister, a paramilitary chaplain, and a published author. Most CoDM students called him Dr. Joe. He lived in Glendora, California for over forty years, where he worked as a civil engineer. 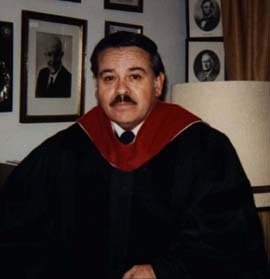 He had an extensive background in philosophy and psychology; he was a graduate of the National College of Chaplains, an institution that includes members of every denomination in the Armed forces. He served as the California State Commander for all Chaplains in the state, where he earned the rank of Major General. After he retired from his civil engineering work, he and his family returned to Arroyo Hondo, New Mexico.